My Wonderful World of Food & Music! It’s happening…the cravings for anything sweet dipped in chocolate, peanut butter or caramel. Well, pretty much anything sweet at all. And no, I am not pregnant…it’s the Holiday Season! I’m not much of a baker and I usually crave a giant bowl of queso over anything sweet. But this time of year brings out my sweet tooth and the urge to experiment in the kitchen. I’m obsessed with Reese’s. It’s my favorite candy combo and what could be more delicious than chocolate and peanut butter wrapped in buttery flakey dough, dipped in more chocolate and caramel, sprinkled with a hint of spice and cinnamon. 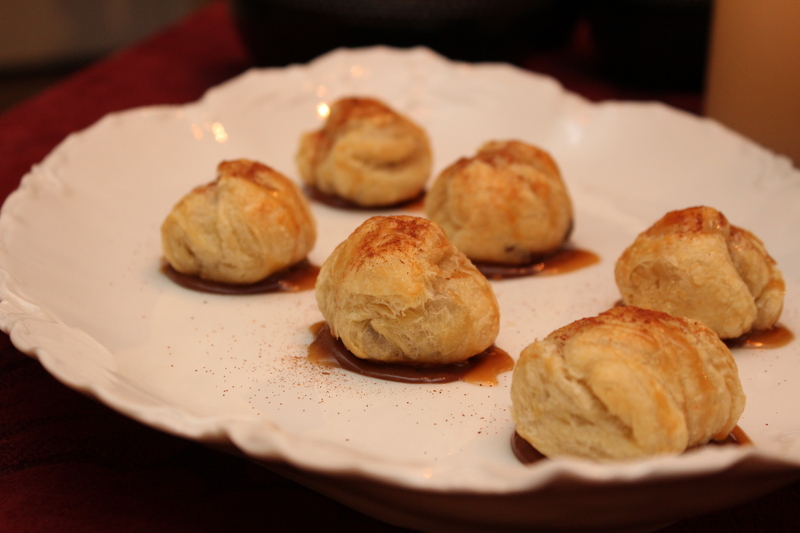 That crazy concoction was in my head tonight and voila…Chocolate Peanut Butter Puffs. I couldn’t get the damn lighting right in the kitchen tonight for my pics but take my word for it…these are sinfully delicious! 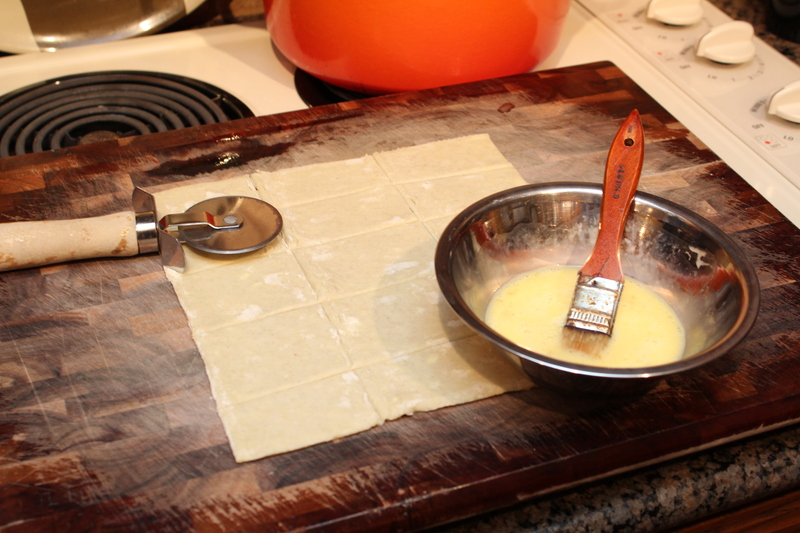 Cut the puff pastry into 15 squares using a pizza cutter. 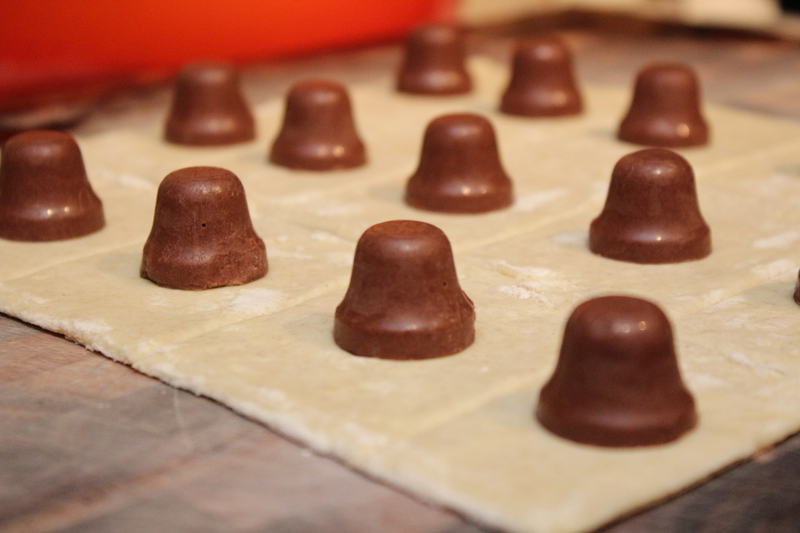 Place 1 Reese’s Peanut Butter Bell on the center of each square. 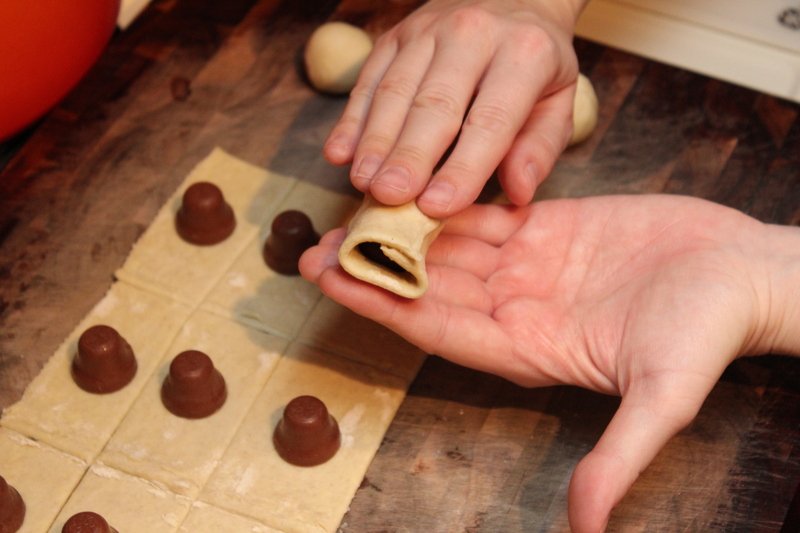 Wrap the pastry around the bell. 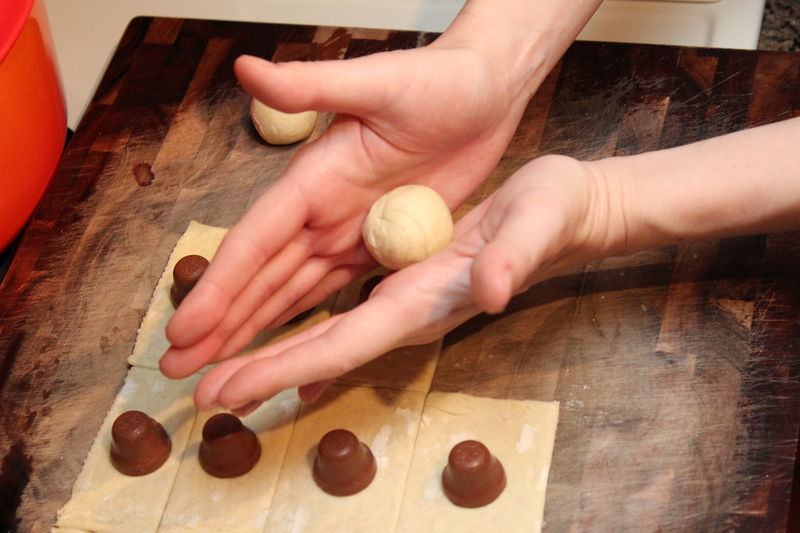 Roll in the palm of your hands to make a ball. Place on a cookie sheet lined with parchment paper or lightly coated with cooking spray. 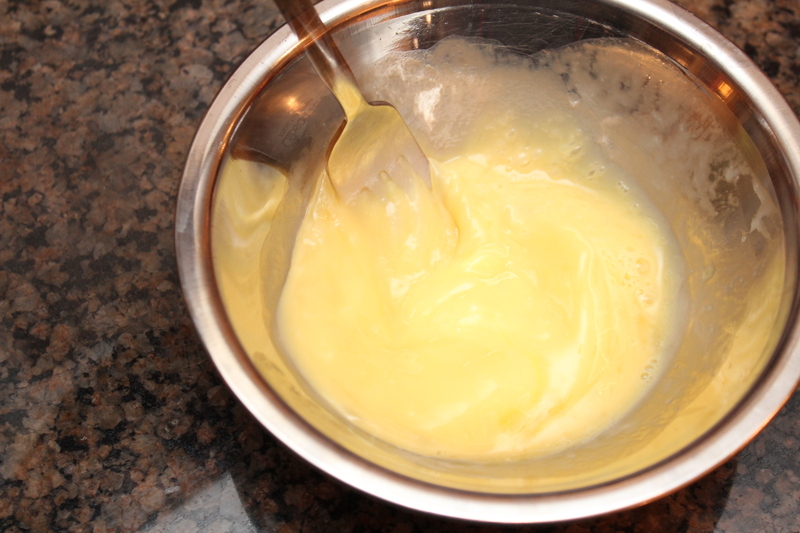 Mix the eggs with a dollop of heavy cream and whisk to make the egg wash. 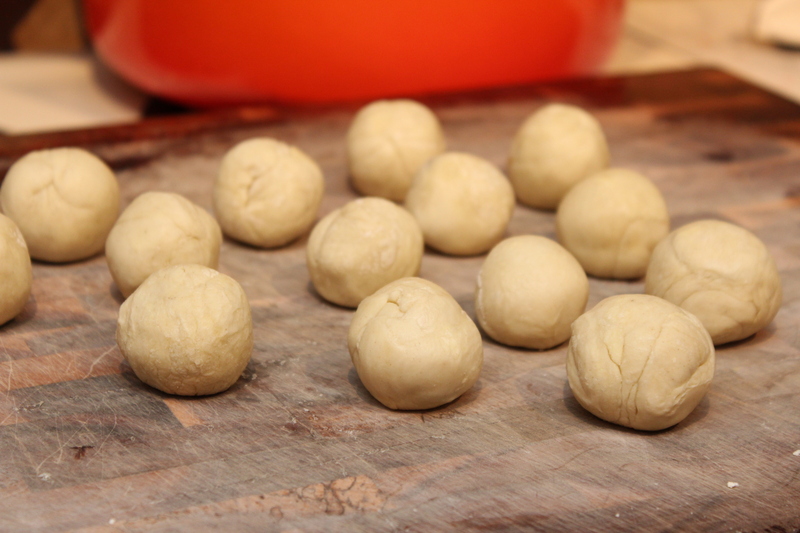 Using a pastry brush, lightly brush each puff with the wash. Place in the oven and bake for 20 minutes until the dough is cooked through and lightly golden. 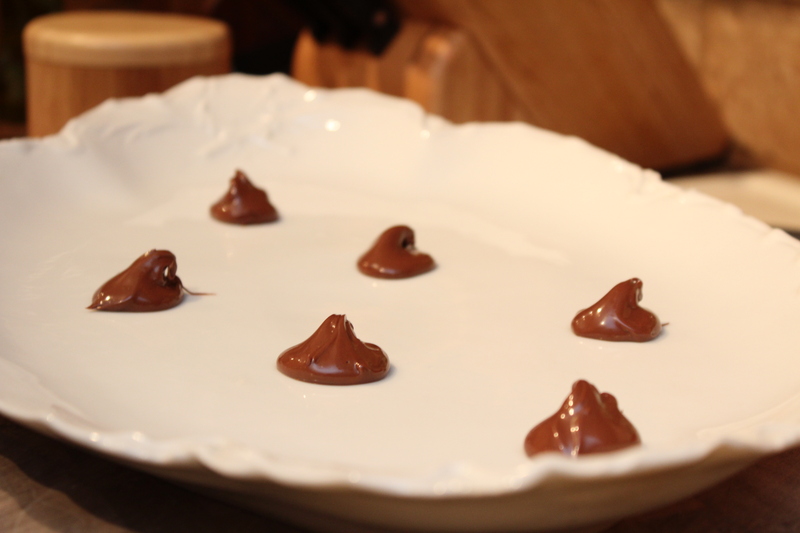 Place a teaspoon of the Nutella on a serving platter for each puff. 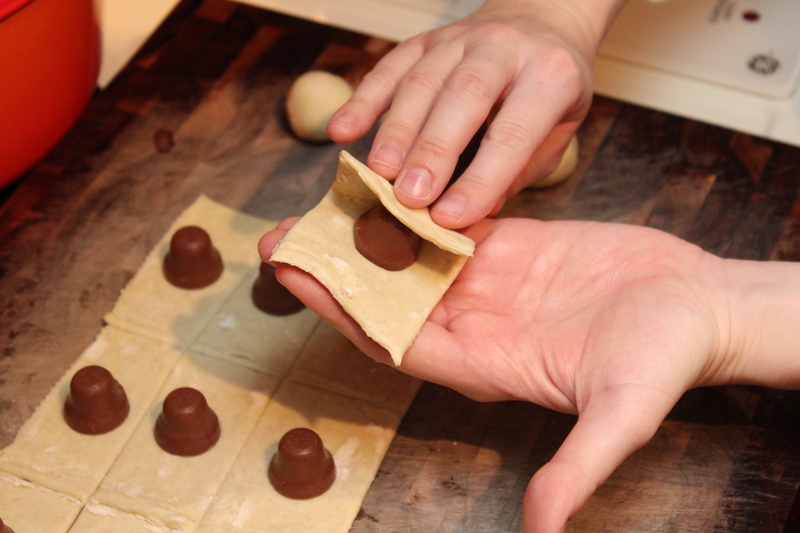 The puffs will sit on top of the Nutella so make sure they are spaced a part. Place a single puff on top of each dollop of Nutella. Drizzle with the caramel sauce and lightly sprinkle with the cayenne pepper and ground cinnamon. Be careful with the cayenne…a little goes a long way! Bon Appetit & Happy Holidays!